Toussaint was named after the famous Haitian soldier and statesman, General Toussaint 'L'Ouverture', who was born in 1743 on the North West coast of the French Caribbean Island colony of Saint Domingue. The hero of Haitian independence, Toussaint L'Ouverture ('Ouverture, meaning 'opening', was accredited to his name as he was always prepared to 'open' to attack opposing forces), successfully challenged the might of Napoleon. 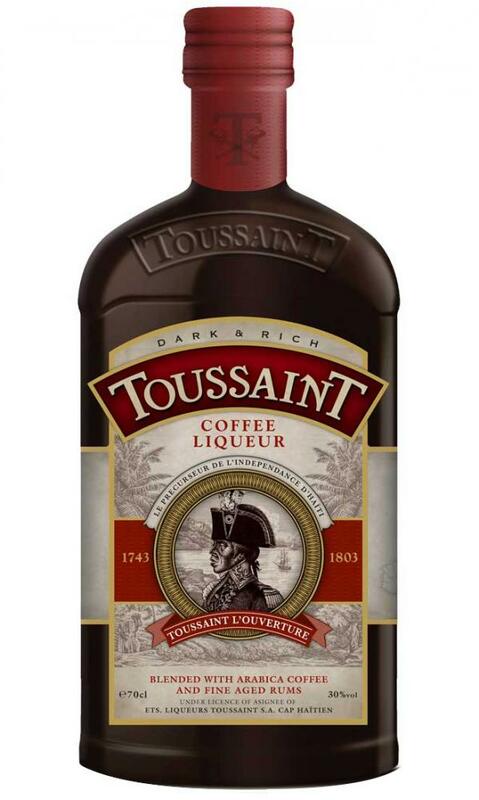 Toussaint is created from selected natural tropical ingredients, first and foremost coffee, with a hint of Cocoa, Vanilla, Licorice, steeped in fine spirits to reach 26.5% alcohol - for flavour and strength. It is then sweetened naturally to perfection for enjoyment on its own, with good coffee, Cognac or in Cocktails. Very sweet with mild taste, similar to gabriel boudier, coffee liqueurs are not France's forte. The perfect end to any meal when sipped over ice. Great also in cocktails.